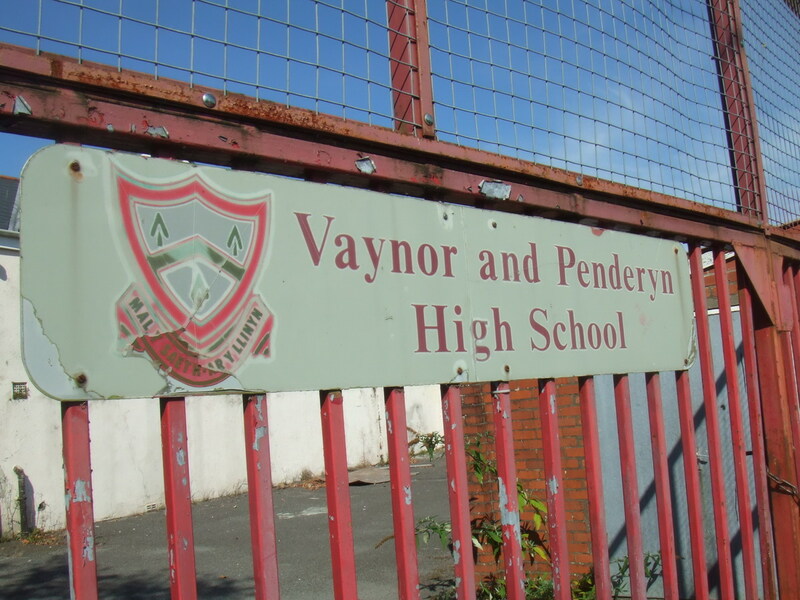 The recently closed Vaynor and Penderyn School was officially opened on the 1st October 1932; although in June 1990 the school celebrated an important 250th anniversary. 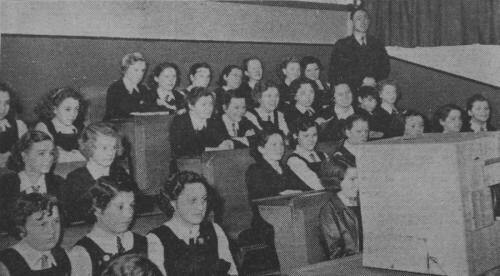 A circulating school was originally established on the site in 1740 with 47 pupils, one of the oldest Welsh school sites. 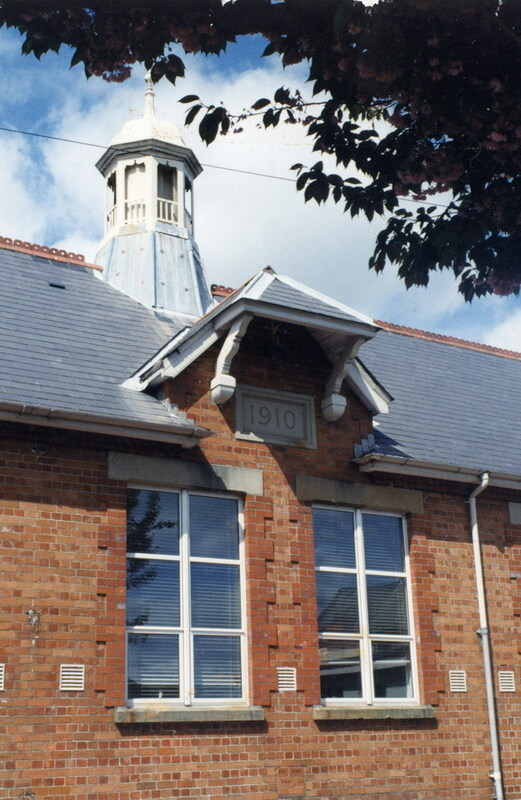 Education continued here in 1861 when Robert Thompson Crawshay founded the Cefn Boys and Girls School and part of that building formed the modern school. The iron-master did not always provide his workforce with free education. From 1866 onwards each worker was charged a penny per week for each child in education. In 1870 the school was handed over to the management of a School Board and became part of the developing state education system. The Headmasters were Trevor Lovett, 1932-45, Dr Gordon Williams, 1945-1959,Tegwyn J. Harris, 1959-1973, and Mr C.H. Whittingham B.A. from 1973. 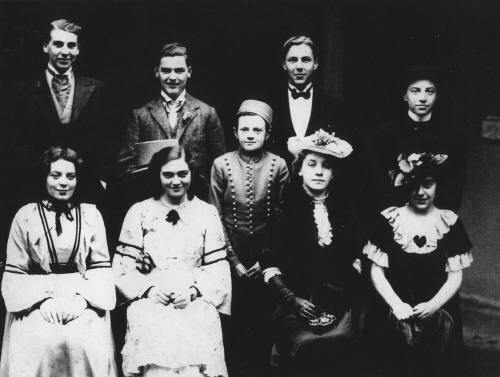 Famous former pupils included the ‘Last of the Summer Wine‘ actress June Freeman. *1892 ’Difficulty of establishing discipline in the school. Obscene language freely indulged in’. Photos etc are split up into relative years. To view, click on the time / event you wish to see. 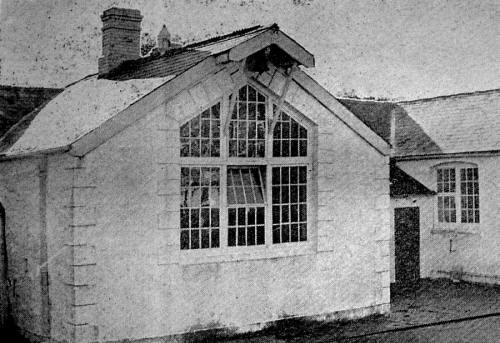 General photographs of the school are on this page. 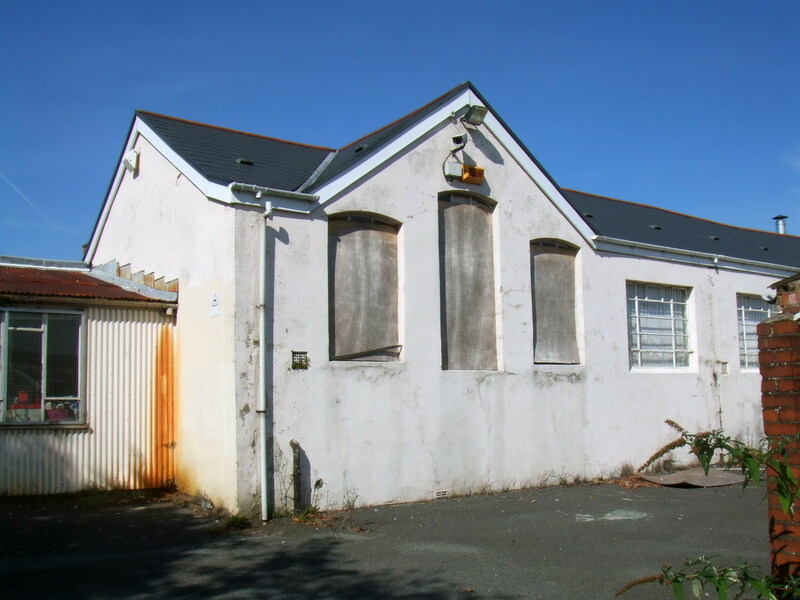 Opened by Robert Crawshay in 1861, this school building remained part of the school until its closure in 2005. Science at Vaynor & Penderyn School. Geography at Vaynor & Penderyn School. 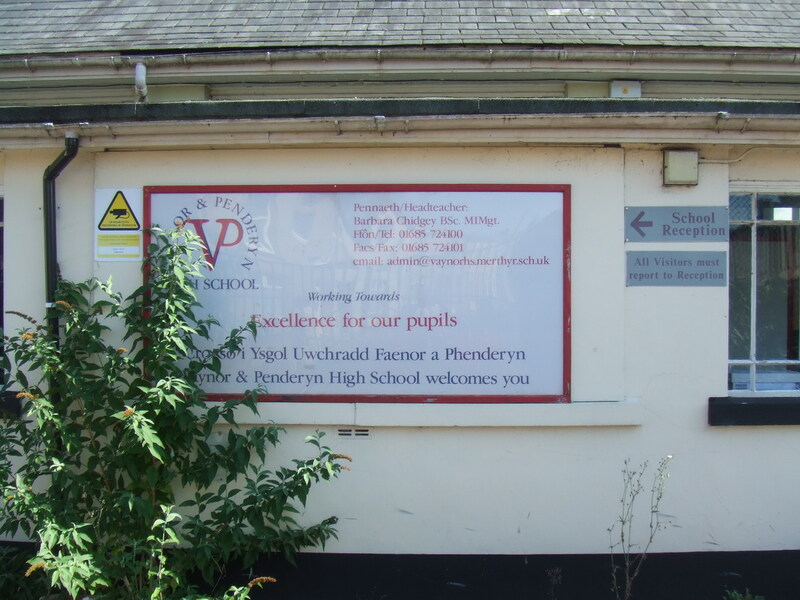 Catering at Vaynor & Penderyn School. Cooking at Vaynor & Penderyn School. 'Study Time' at Vaynor & Penderyn School. P.T. 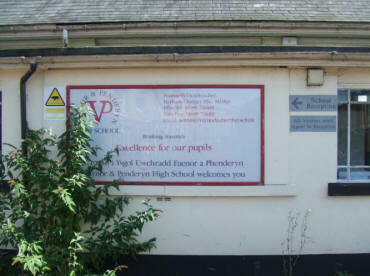 at Vaynor & Penderyn School. The Hall / Gymnasium at Vaynor & Penderyn School. Woodwork at Vaynor & Penderyn School. Pupils of Vaynor & Penderyn School, Cefn Coed with their Headmaster. owned by a school in South Wales. 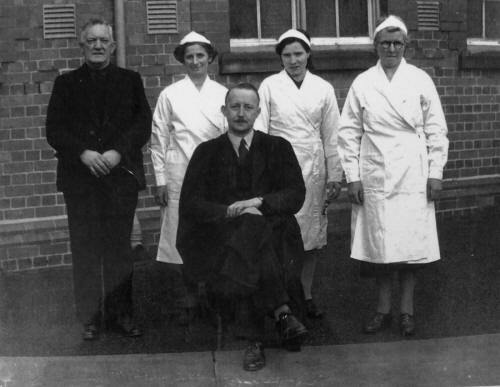 Headmaster, Caretaker and Canteen Staff. 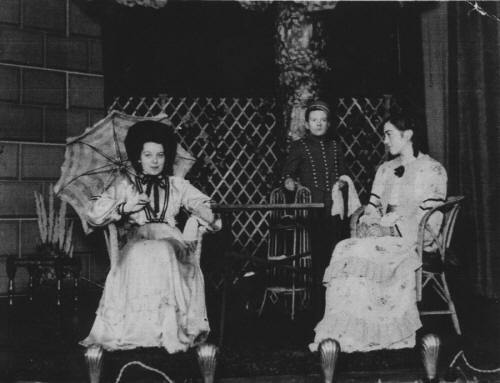 L-R: Joan Lewis, Hubert 'Bill' Jenkins & Joan Parry. Back Row L-R: Howard Chappell, Tom Jones, Elwyn Bowen & Trevor Williams. Front Row L-R: Joan Lewis, Joan Parry, M. Evans & Mary Bond. 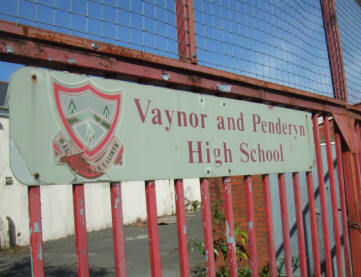 Vaynor & Penderyn School - In 1995. Vaynor and Penderyn School - Last Teaching & Administration Staff. Back Row L-R: Sarah Wheeler, ?, Nigel Dudley, Phil Cole, ? & Mark Dorricott. 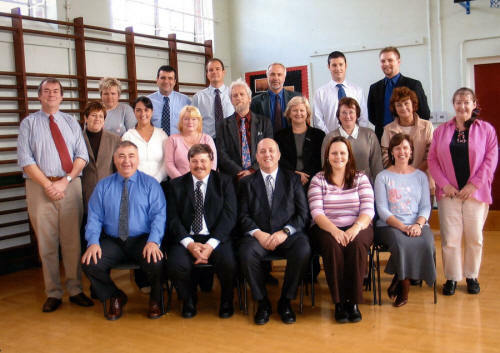 Front Row L-R: Steve Jackson, Andrew Beddoe, Rhos Williams (Headteacher), Claire Benson & Gaynor Jones. A Grand Reunion staff was held in 2004 at Merthyr Tydfil Golf Club: Cilsanws. Click Here to see the commemorative booklet issued for the event. Do you have any photographs or information regarding Vaynor & Penderyn School?